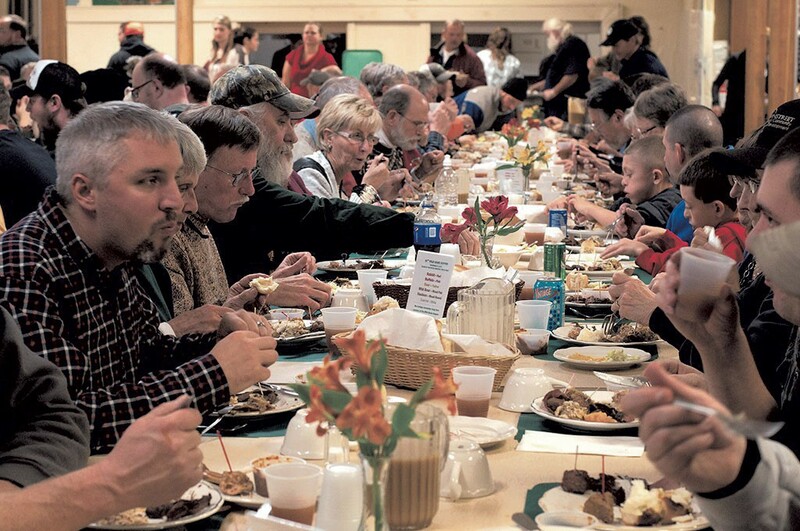 For the 63rd edition of its annual wild-game throwdown, Bradford's United Church of Christ invites visitors from near and far to sit elbow to elbow in the church mess for a forest-foraged feast. On the buffet line, local volunteers dole out portions of venison steak, bear-meat chili, pheasant with rice, rabbit pot pie, pulled wild boar and roast beaver, among other delicacies. Locally grown squash, Parker House rolls and pitchers of apple cider round out the meal, and gingerbread cake makes for a sweet finish. Wild Game Supper: Saturday, November 17, hourly seatings, 2-6 p.m., Bradford United Church of Christ. $20-30, reservations required. Info, 222-9920, bradforducc.org. Cocktail Menu Relaunch: Burlington's hometown arcade renovates its cocktail list with boozy beverages fit for the winter season. Thursday, November 15, 4 p.m.-2 a.m., the Archives, Burlington. Cost of food and drink. Info, 448-4333, thearchivesbar.com. New Wine Release Party: Oenophiles imbibe nouveau-style wines from 2018's grape harvest, along with debut vintages from 2017 and earlier. Saturday, November 17, 11 a.m.-5 p.m., Lincoln Peak Vineyard, New Haven. Free. Info, 388-7368, lincolnpeakvineyard.com. Everyday Cooking: 5 Knives, 5 Dishes: Students wield a handful of chef's sharps in the preparation of plates including broiled salmon, butternut squash lasagna, roasted potatoes and maple-pear bread pudding. Thursday, November 15, 6-8 p.m., the Kitchen at the Store, Waitsfield. $60. Info, 496-4465, kitchenatthestore.com.